From selecting the right payment gateway to having a process for handling credit card declines, refunds, cart abandons and more, ensuring your checkout process is smooth will keep your business afloat. When it comes down to it, your ability to make money online requires one fundamental thing: the ability to actually take payments online. Setting up your payment processing, along with processes for everything that comes with it — handling declined credit cards, issuing refunds, managing subscription cancellations to name a few — is a critical component of your online business that doesn’t have to be complicated. Having automated processes in place to manage these situations from the outset will set you up for a smooth online business in the long run. 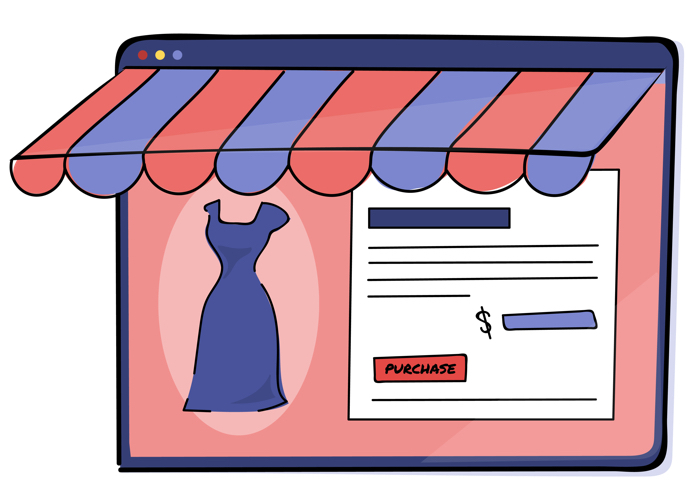 Once you’ve got those processes in place, you can also take steps to maximize sales at checkout with upsells and cross-sells as well as re-engage cart abandoners with automated follow-up campaigns. Below we’ve highlighted the do’s and don’ts for all things related to this pivotal money-making part of your online business to ensure you’re on track for revenue growth. A payment gateway is a service that authorizes payments for your ecommerce site. You can imagine a payment gateway as the equivalent to the actual check-out terminal in a retail store. These gateways protect credit card information by encrypting them and ensuring the information is passed securely between the customer and the merchant. If you’re new to ecommerce, a good place to begin is with a free Stripe account that requires no credit approval. Or, if you’re not planning to sell a subscription, membership, or upsell products, PayPal can be a good option for beginners. Reviewing your options will help you determine which payment gateways will work best for your company. Some things to keep in mind when choosing a payment gateway include your qualifications and credit score, whether you plan to offer payment plans or subscriptions, expected number of refunds, and whether or not you want to implement upsells, cross-sells, and downsells. If you don’t review your options, you might end up choosing a gateway that doesn’t perfectly align with your business. Some gateways are more expensive for larger transactions, charge for refunds, or don’t accept international currencies. A common choice among ecommerce beginners, for example, is the standard PayPal gateway. This option, however, does not support selling subscriptions, payment plans, or upsell products, and it has some limitations on how successful and declined transactions are handled. If you’re planning on selling subscription products or products with recurring payments, you’ll want to upgrade to a more traditional payment gateway such as Stripe, PayPal’s Payflow Pro or PayPal Pro (formerly known as Website Payments Pro). A Dummy Gateway allows you to make test purchases of your products without making an actual transaction through a payment gateway. This way, you can simulate successful and failed credit card transactions. In your ONTRAPORT account, setting up a dummy gateway is highly recommended and easy to implement. By simply selecting Dummy Gateway under the New Gateway tab, you can choose an internal name and be ready to test. If you don’t test the functionality of your order form, product delivery funnels, declined card funnels, etc., you run the risk of launching a new product that your customers are unable to purchase. This could result in a detrimental loss of sales; chances are, after unsuccessfully attempting to purchase from you once, customers won’t come back to try again later. Payment plans allow your customers instant access to your goods or services, while paying in installments over certain increments of time. Adding a payment plan is a great method for making your pricier products more accessible to the masses, catering to customers who wouldn’t otherwise be able to afford your products. They can be useful if your business sells expensive products or services that can benefit individuals and businesses with lower budgets. When it comes to payment, you might not want to be too lenient, depending on your company’s stability and turnover. Payment plans might not be a great option if your products are low-priced, as the hassle of dealing with recurring payments, declined cards, or customers who just stop paying might not be worth it. Further, you should only consider implementing a payment plan if you have an automation platform and payment gateway that can handle most or all of the steps in the process and all the issues that might arise. Allowing two payment options, such as payment in full and four quarterly payments, can lessen the number of issues that arise, as opposed to offering several different types of payment plans at different costs over different increments of time. A major pain point plaguing businesses today concerns their protocol for handling bad cards — whether maxed-out, canceled or expired. It’s important to have a system to handle card declines. 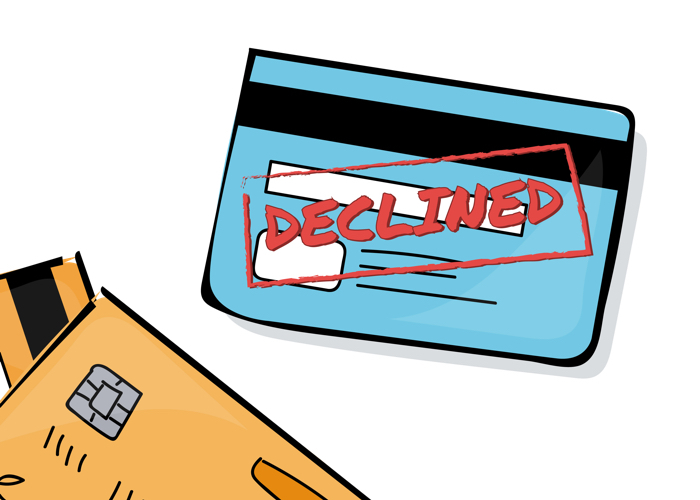 To create an efficient process for handling declined cards, you should answer these questions: How many times will you attempt to recharge a declined credit card? How will you communicate with your declined customer and at what frequency? Can users update their cards and regain access? At what point do you lock out their membership (if you have a membership or subscription product)? After answering these questions, you can successfully create and implement an automated follow-up system that will contact your declined customers and handle the issue. Expired cards can be handled in much of the same way as declined cards. Expired cards, however, are usually easier to tackle, as the reasons for expiration are clear, while the reasons for declination can vary. If you don’t implement a process that reaches out to your customers about their declined and expired credit cards, you might lose their business just because they don’t want to have to deal with signing up again. With expiring cards, you can implement a system that starts sending out automated emails before the credit card’s expiration date. For example, you might keep track of your client’s expiration dates and send reminders within three months of expiration, asking them to update their cards and payment form. You can also allow customers to add multiple credit cards to an account. If a default card expires, a backup card can be charged instead, keeping the customer’s account up and running and the payments still on track. Both of these strategies help save you and your client time and resources. 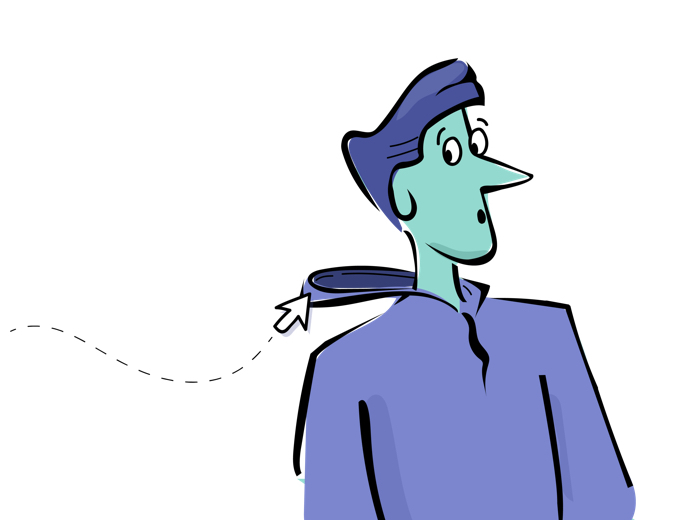 In ONTRAPORT, issuing refunds is hands-free and cost-free. ONTRAPORT’s powerful sales automation offers refund calculations and many other transactional activities to be completed without requiring any manual input. However, when you need to manually intervene for customer satisfaction reasons, you can easily manage each contact’s transactions on the Purchases tab of the Contact record. If you’re offering a subscription or membership site, be prepared for cancellations; it’s inevitable. Make sure you have a system set up to handle cancellation requests. Some systems allow you to cancel your subscription right from an interface; others have a web form to fill out and submit. For membership sites, you must remember to not only cancel all future charges, but also lock out their membership. Not all is lost when losing a customer. It’s important to try to understand their reason for canceling and seeking their feedback so you can make improvements to keep other customers from cancelling. Getting feedback from those who have canceled will help you pinpoint areas for improvement. Offer a brief survey that pops up after someone cancels, and set aside a time once a week to review the feedback. Track data collected from your “yes or no” questions, and look for possible causes and correlations within the data. You can also include some long-form questions in your cancellation survey. “You’d be surprised how many times in the long-form questions you might see people saying that they wish the product did X, when it totally does,” says Torres. “Try to learn from these mistakes — how can you let people know that these features that they want exist? How can you prevent other clients from having unsatisfactory experiences like this one?” You might consider reaching out to these clients to discuss further. You can offer upsells and cross-sells at the time of purchase to provide even more value to customers while they’re checking out. An upsell is an offer of a more expensive, but higher-valued version of what the customer is already purchasing. For example, you might offer the same product but larger (e.g., shampoo bottles: from travel size to family size) or a better version of the product (e.g., from the regular shampoo to the exclusive salon-only version). A basic version of a service you offer might be upsold to a higher version that offers extra one-on-one sessions. A cross-sell is an offer to purchase an additional product or service that enhances their original purchase (e.g., they buy a bottle of shampoo and you offer them a bottle of conditioner). If you’re selling a service, such as software, a cross-sell might be the opportunity to purchase set-up services and one-on-one implementation strategy sessions. With upsells and cross-sells, you want to give your clients the message that you have better or assisting products that are worth the extra money. When offering an upsell, you walk a fine line between helpfully offering them the higher-end product and being sure to not highlight the drawbacks of the product they were already planning to purchase. For example, if customers are ready to purchase your shampoo, and you offer them a better quality, high-end salon version for a slightly upgraded price, they might realize they don’t want either: the more expensive one because it’s out of their budget range or the one they had in their cart because it’s not a high-end salon version. Determining the appropriate message for your offer is key to avoiding this problem. Cross-sells walk the the fine line between helpfulness and harassment. Have you ever been to a shoe store that not only brought you the shoe you asked for, but also three other shoes in your size that they thought you might also like? Perhaps some people find this helpful, but often it can lead to annoyance and a disinclination to purchase at all. To avoid this problem, your cross-sell offers should only be products that improve the customer’s purchase as a whole, and the items or services should directly support each other. Offering a cross-sell of conditioner to someone purchasing shampoo is helpful for both you and the customer. Make sure you’re reiterating the value of what you’re offering, rather than simply trying to squeeze more purchases out of a customer. Unlike upsells and cross-sells that add to a customer’s purchases, downsells allow you to offer customers a less expensive product or service after they have decided not to purchase your main product (e.g., you might offer a travel-sized shampoo bottle after a customer decides not to purchase the regular size). Downsells are good opportunities to keep customers interested in your products even after the initial decision not to purchase. A study by SumAll on repeat customers showed that after one purchase, there’s a 27% chance the customer will purchase from you again. A similar study by Adobe showed that repeat customers are 9x more likely to convert. What does that mean for you? If they purchase your downsell, they’re more likely to purchase from you again. If your customers don’t clearly understand the reason for the price difference, treating your products as downsell opportunities could label those products as inferior or of lesser value. If you offer a downsell at a much cheaper price for a similarly valuable product or service, customers might assume you feel okay offering this price because that’s what they were actually worth to begin with. In this sense, you run the risk of devaluing all of your products and gaining a reputation for overcharging. Offering any of your products as downsell can give that particular product a bad reputation. If you offer a similar but cheaper shampoo as a downsell, that shampoo’s reputation on its own, separate from this interaction, goes down. These issues are easily avoidable, however. First, and most importantly, be sure to NOT overcharge for your products or offer any products of poor value as downsells. Second, make sure that the reason the product is a downsell is very clear to your customers. For example, offering a travel-sized shampoo as a downsell would be productive because the customer clearly understands the reason for the price difference. If you offer a different shampoo as a downsell, however, it might be unclear why that shampoo is cheaper and will, therefore, devalue the item. Overall, have faith in the worth of what you’re offering, and your customers will too. Cart abandoners ditch a purchase for a variety of reasons: a slow website, indecisiveness, a hidden costs, expensive shipping, or simply getting distracted. Fortunately, there’s a way to bring back those who stray. ONTRAPORT’s Director of Product Engagement Rochelle Yoshida outlined a four-step plan for bringing back cart abandoners. Send an email one to three hours after the cart is abandoned. Those emails often have higher open and click-through rates. This isn’t the time to be “pushy,” per se, but rather to let them know you’re there to help. Be sure to include a link back to the product they were trying to purchase. Including their name in the subject line to draw their attention is helpful! After the initial abandoned cart email, consider offering testimonials of what others have said about your product and gently reminding visitors about the benefits of your product. Answer the question “So what?” or “Why should I care?” Send this one to two days after the first abandoned cart email. Send a final abandoned cart email one to two days after the second abandoned cart email. This is your last chance; consider sending a coupon code as an incentive. If they don’t purchase after these three emails, make sure you’ve got a process to continue keeping in touch with them via a long term lead nurture process or a newsletter. If you’re an ONTRAPORT user, you can upload the Cart Abandonment Campaign from the Campaigns Marketplace for free. A meta-analysis of many studies found the global cart abandonment rate in 2017 to be 75.6%. What would it mean for your business if you had an extra 75.6% of your visitors actually making those purchases? Forgetting about your shopping cart abandoners means losing a lot of potential revenue. According to a 2016 study, 72% of millennials are open to retargeting ads and shoppers are 70% more likely to convert when retargeted after cart abandonment. Further, at least 48% of cart abandonment emails are opened. Using the recapture methods mentioned above, you can still make some of those lost sales, boosting your conversion rates and revenue.